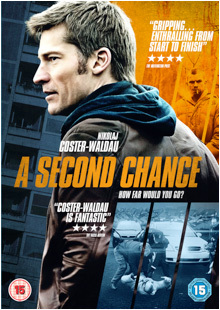 A Second Chance aka En Chance Til is a solid if slightly unremarkable Danish-Swedish thriller about a policeman, Andreas (Nikolaj Coster-Waldau), who decides to take the baby of a junkie couple after his own baby son dies in tragic circumstances. However, it turns out that things are not as clear-cut as Andreas hopes and he is forced eventually into returning the baby to his rightful parents. Coster-Waldau, whose profile has been a lot higher over the past few years thanks to his prominent role in Game of Thrones as Jamie Lanister, can tackle drama well and he does make a sympathetic lead who is troubled rather than evil and the rest of the cast are solid enough especially Lie Kass as the real father of the baby he abducts but it’s not that different from what we’ve seen before. However it is well-written, competently directed and decently acted so it whiles away an hour and forty minutes engagingly enough.